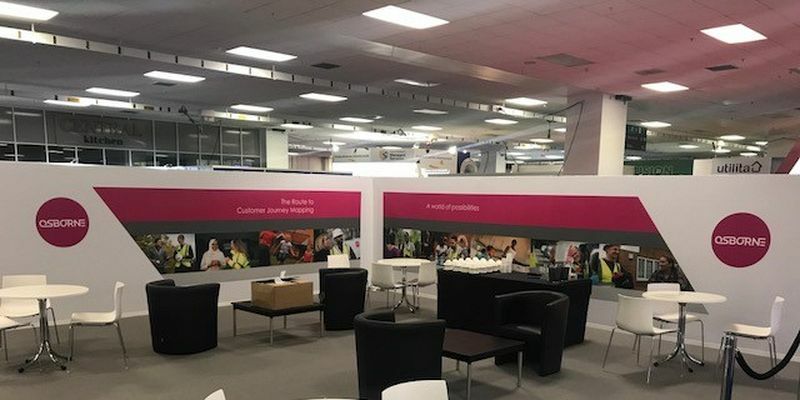 Homes is a 2 day event in London Olympia. Homes is an exhibition and conference area with over 3,000 attendees. 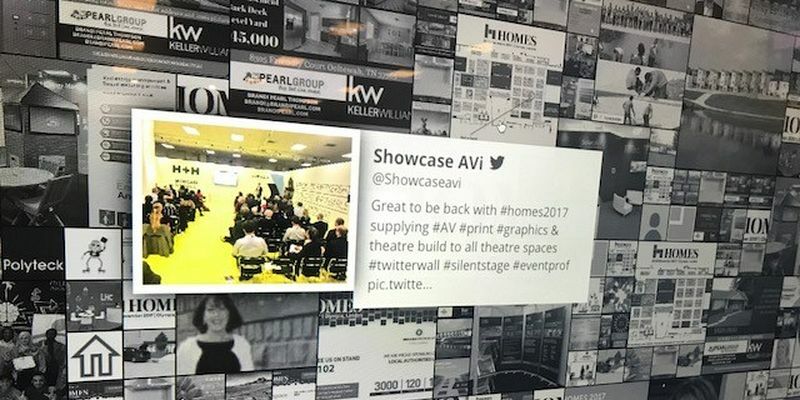 At the homes exhibition you have the opportunity to meet with 120 of the UK’s leading suppliers of residential development, strategic asset management and procurement solutions. In order to help our client visualise the final product, we used our in house design team to produced 3D renders and CAD plans outlining designs for the client as well as the venue in order to achieve H&S sign off. 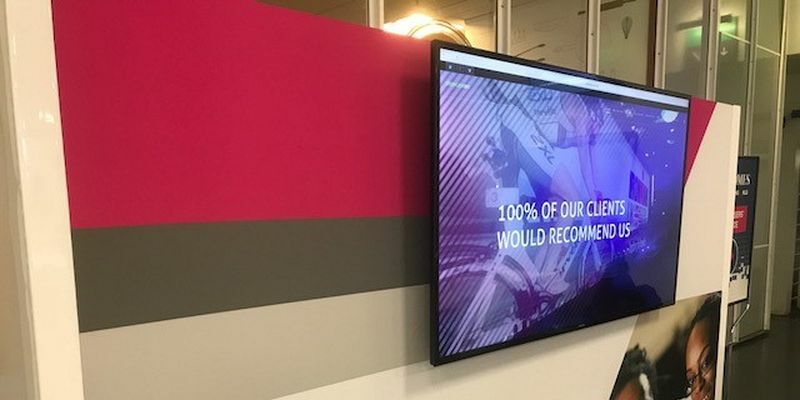 A turnkey solution was used for bespoke exhibition stands, full HD 82” plasma screens were installed in the exhibition theatres with a switching system to allow seamless transitions between live presentation content and the social media Q&A system. New for this year was the live steaming of the budget. 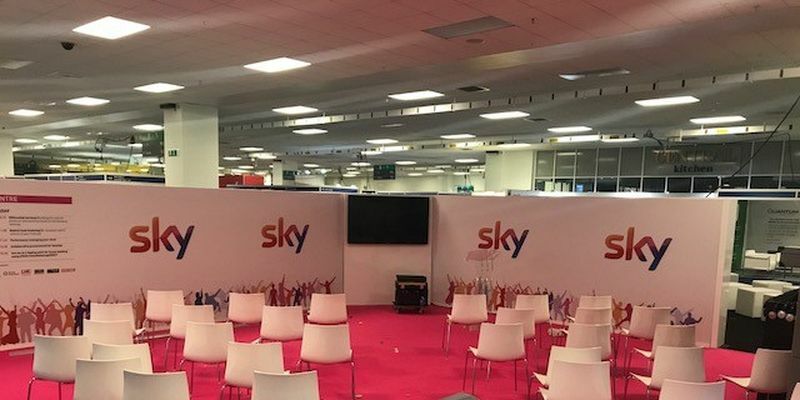 We designed the shows networking area, twitter wall, and a ‘silent area’ for Sky as well as 300 sqm of digital high end print for sponsorship. 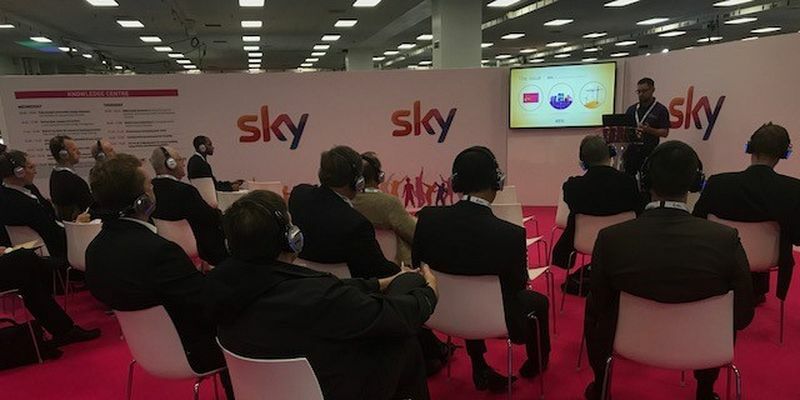 Our production team met with the client on a variety of occasions both at the clients offices and onsite at Olympia Exhibition Hall in order to ensure that we were fully briefed about their event and working in sync with their event staff. The basis of these meetings built the foundation of our production schedules and ensured that all timings were met and communicated efficiently to the client and operations team. We were acutely aware of the tight timeframes and venue costs, we put in the place a project plan strategy to insure the event and client were not compromised. We were thrilled to complete the installation and received client sign on schedule. The event ran extremely smoothly, last minute requests from exhibitors and clients were handled swiftly.